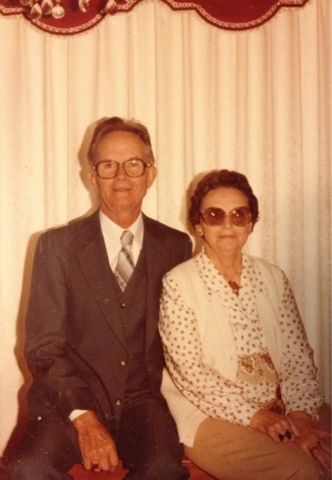 My great grandparents, Clifton and Hazel McGuire White. It's obvious from the photo that we're from different generations. 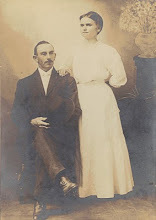 LOL -- my great-grandparents never looked that "modern." Too funny, Wendy! We aren't sure when this was taken but it feels like late 1970s to me. My grandma says that her father always dressed well.